To what extent is the CRC’s approach to market oversight and development informed by global best practices versus local considerations, for example in the areas of spectrum, quality of service, and universal access? First off, it is necessary to clarify that the CRC does not manage spectrum; spectrum is part of the responsibilities of the Ministry of Information and Communication Technologies (MinTIC) and the National Spectrum Agency (ANE). However, the CRC does takes into consideration certain technical aspects and market analysis related to spectrum allocation within its framework. 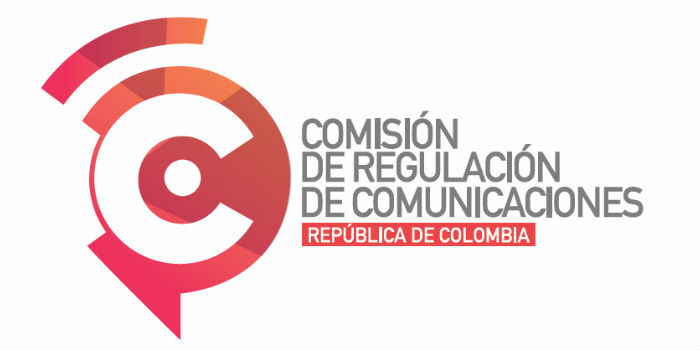 We must bear in mind that the reference to "universal access", in the Colombian case, relates directly fixed broadband services. However, all of the CRC's regulatory analysis, not only the market evaluations, take into consideration the international trends, both technical, as well as the best practices of regulators of other countries and multilateral organizations. We are always seeking to promote competition and connect the maximum amount of users and so we seek recommendations regarding the definition of regulatory aspects that impact and improve the provision of telecommunications services. International trends and recommendations of multilateral organizations and other agencies are carefully analyzed, case by case, facing the potential intervention of the CRC, based on the identification of problems that must be solved. While interventions are in some cases supported by international best practices, they must always respond to the specific needs observed in the Colombian context, which in some cases may also fit to what is happening in other countries (geographical, demographic and political differences, among others). 1) How has the role of satellite in addressing Africa’s connectivity requirements evolved over the past decade or so? Satellite continues to play a major role in the Africa telecommunications landscape as the demand for data, and in particular, mobile data grows at an ever increasing rate. The last decade has seen a substantial increase in the supply of bandwidth delivered over submarine cable systems to the African coastline. We have also seen substantial investment in mobile networks across Africa and also a significant increase in satellite based networks and the integration of satellite into the terrestrial ecosystem. 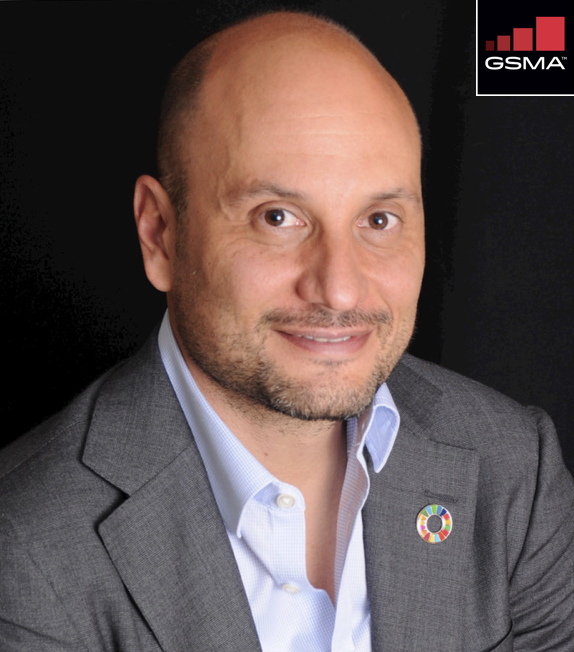 Africa currently exhibits the fastest mobile subscriber growth for 3G and 4G voice and data access, fueled by network build out by Mobile Network Operators, but also a myriad of Universal Service Fund initiatives championed by governments and regulators and the rise of mobile money, a lifeline for many in Africa. We have seen a shift in demand and more discernment and differentiation from the market as satellite operators and service providers have tailored their solutions to the growing number of applications and services required. Geostationery bandwidth and services continue to be in high demand in rural areas, especially for cellular backhaul extension for the Mobile Network Operators. This is driven by Government through the Universal Service Funds initiatives, demand from consumers as mobile phone penetration increases and hard to reach terrain in need of access to connectivity. As networks evolve from voice only, to voice and data, operators, SES included, are evolving their pricing and utilization models to be more consistent with those of the MNOs. This presents challenges for satellite operators in the short term but is generating market growth. The emergence of SES’s unique O3b constellation and the advent of affordable, low latency, high performance bandwidth and solutions to land locked Africa and numerous locations beyond the coastline has revolutionized the continent and provided opportunity to many who otherwise would be cut off from a broadband environment. 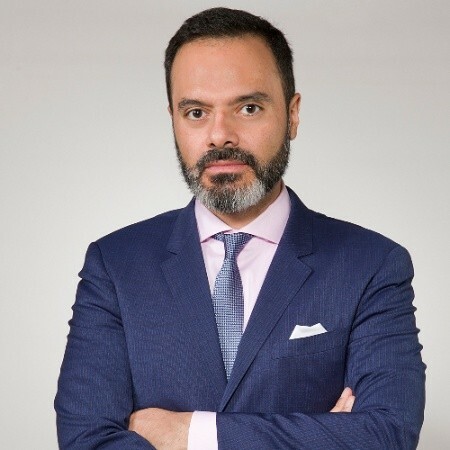 SES is the only operator who combines the benefits of Geostationary and medium earth orbit systems with capabilities to offer turnkey connectivity solutions positioned to address the explosive growth demand for Africa over the next decade. 2) What’s your view on the relatively recent and expected emergence of MEO & LEO satellite constellations, respectively, and how they complement GEO services? There is a tremendous amount of growing interest in the role that space can – and really must – play in a cloud-scale world that will require ubiquitous gigabit broadband. At SES, we really believe in the benefits of MEO; we bought-in early, we’ve invested accordingly, and now we operate the only broadband MEO fleet and we’re growing that fleet and we’re even entering the second-generation of MEO satellites with O3b mPOWER, which brings much greater scale and flexibility to MEO solutions. We see MEO as offering the ideal balance between service performance and constellation simplicity – both of which are essential to meeting the expected demand for bandwidth as we drive toward things like 5G mobile networking, mobile edge computing and the Internet of Things. But this doesn’t necessarily mean that we don’t think LEO has a future role; it’s just that at this point, we have yet to be convinced that it can strike the same performance/simplicity balance as MEO. We think it’s good for the industry that there are people working on making the LEO business case a stronger one down the road. To us, though, one of the key attributes for success in the medium-term is the integration of GEO/MEO infrastructure so that it creates a unified network that’s flexible and intelligent enough to route traffic through the appropriate assets based on application requirements. That’s the kind of scale and efficiency that will be required to support the massive requirements of connecting billions of people, applications and machines in the years ahead. 3) Given the steady push to fiberize ever more population centers in Africa and elsewhere, do you anticipate SES playing a role in such projects? We see several roles for SES in a world that seamlessly interconnects networks regardless of whether it’s fiber, microwave or satellite. First, as the only service provider with a MEO-based offering, we’re the only provider that can deliver a fiber resiliency service that can match (or even approach) the capacity, performance and low-latency of fiber. This means we’re in a unique position to offer continuity of service for a wide range of rich media, latency-sensitive applications (if you’re back-up is GEO, you might be able to support voice but not much else). We can deliver a fiber resiliency solution as either a rapid-response deployment within two to three days, or we can deploy a satellite-enabled managed service as an active, diverse path alongside a terrestrial or microwave connection. In the latter case, the operator can fail over to the satellite link within 0-30 seconds. Again, if this diverse path is MEO-based, we are enabling the operator to drive higher capacity levels and a great latency performance. But let’s not stop there. We think the role of satellite technology in the cloud-scale era is actually much larger than that. As I said before, the amount of bandwidth required for, say, a truly global Internet of Things, will absolutely require high-performance satellite connectivity. But for the satellite industry to take full advantage of that opportunity, it requires changing the way we participate and collaborate with other parts of the broader networking community – and SES is leading that charge on behalf of the industry. We are working to make it as frictionless as possible for customers to integrate satellite-enabled solutions into their existing terrestrial networks. This means working alongside networking peers in global standards bodies to shape and implement new standards; it means providing open interfaces for seamless interoperability across systems; it means achieving telco-grade certifications (like MEF Carrier Ethernet 2.0) to assure customers that the quality of experience enabled by satellite fully meets the service level agreements they’ve already got in place; and it means adopting software-defined networking capabilities to deliver secure, intent-based, application-aware capacity. We think that if a customer wants to flexibly provision satellite services, they should be able to do so seamlessly right alongside their existing fiber assets in a common environment – all while delivering the same quality of experience. We’re doing a lot of work – and making great progress – with standards groups and others in the satellite industry to ensure that satellite becomes a mainstream part of that global environment because it’s going to be a critical requirement in the cloud-scale world. For more information on SES, please visit www.ses.com. 1) ¿Cuáles son las principales barreras para la próxima ola de despliegue de infraestructura en América Latina, tanto para ampliar cobertura y la realización de nuevas tecnologías? En materia de inversión en infraestructura todavía existe una brecha significativa con relación a economías de altos ingresos, invertimos cerca de 50% menos en términos per cápita que dichas economías. Esto implica que América Latina tenga un espacio importante por recorrer en materia de capacidad y calidad de las redes. Las conexiones de banda ancha a través de redes de fibra óptica no superan el 3% del total de conexiones de banda ancha fija en la región, adicionalmente la calidad de las comunicaciones medidas en términos de velocidad de acceso a Internet es tres o cuatro veces inferior que la alcanzada por países de la OCDE, lo que representa una serie de dificultades en materia de universalización. La primera de ellas tiene que ver con barreras de asequibilidad, aunque las tarifas de banda ancha han disminuido en los últimos años derivado de políticas de competencia, hay un porcentaje importante de la población - entre el 44% y 46% - que no logra acceder a planes o a hacer uso de Internet. Se ha recomendado que los planes tarifarios no superen el 5% del ingreso per cápita, pero en países como Paraguay y Bolivia esto significa un porcentaje importante del salario mínimo. Aunado a esto hay que desarrollar una serie de factores que ameriten el uso de este tipo de tecnologías y crear contenidos y aplicaciones que vayan más allá de los tradicionales. Por ejemplo, servicios digitales que abran oportunidades interesantes en materia de inclusión financiera; acceso a servicios de salud, educación y bancarización; aplicaciones para sectores específicos como el agrícola e industrial. Existen también barreras con el despliegue mismo de infraestructura de tipo administrativo y técnico, licencias y permisos (ej.- derechos de vía, licencias ambientales) a nivel subnacional que implican retos al despliegue de infraestructura de banda ancha móvil principalmente. La inversión en América Latina y el mundo como porcentaje en los ingresos de los operadores ha caído en los últimos años, representando así una barrera económica importante. En cuanto a la gestión y asignación del espectro radioeléctrico para ese tipo de servicios, todavía hay un porcentaje importante que no ha sido asignado para comunicaciones de última generación y sobretodo lo que tiene que ver con el manejo de estándares de la industria para el despliegue del 5G. Se espera que cerca de 57 billones de cosas estén conectadas a internet en los próximos años, por lo que la transición hacia protocolos IPv6 reviste también una importancia trascendental. 2) ¿Cuáles son los hitos que la región debe alcanzar para lograr mayor digitalización para el desarrollo social y económico? CAF tiene una aproximación integral al problema de la expansión del ecosistema digital y lo que implica el proceso de digitalización de las economías, hemos construido un marco conceptual para entender la economía y ecosistema digital en torno a 8 grandes pilares que parten desde el desarrollo de infraestructuras de telecomunicaciones de banda ancha hasta el desarrollo de marcos regulatorios e institucionales que soporten la expansión del ecosistema con políticas de competencia que generen mejor acceso en materia de tarifas e inversión. Nosotros creemos que hay tres grandes hitos solucionar: (I) Brecha digital, todavía hay un 44% de la población que no usa internet, 46 % de los hogares no tienen accesos de banda ancha fija y cerca de 288 millones de personas no son usuarias de Internet. La penetración a Internet en el área urbana supera cerca de tres veces la rural, por lo que tenemos un enfoque importante por lograr una mayor cobertura, mayor acceso e inclusión digital. (II) Digitalización de la producción, mucho del consumo que se hace en la región todavía es a nivel de redes sociales y entretenimiento, pero el uso industrial que se le puede dar para mejorar la productividad es un tema central, y nosotros vemos que de acuerdo con el índice de digitalización estamos 24% por debajo de la OCDE. Finalmente, América Latina no ha logrado desarrollar una economía a escala importante de (III) comercio electrónico que permita ganar participación en el mercado de transacciones sobre plataformas de Internet. Se espera que en los próximos años este mercado alcance en América Latina un inversión de 57 billones de dólares, además somos 600 millones de latinoamericanos por lo que existe una importante oportunidad de negocio para emprendimientos digitales y empresas de mercado digital. 1) ¿Cómo puede la región diseñar políticas para superar la brecha digital? A medida que la brecha digital se achica, es cada vez más complejo el enfoque de políticas que debe adoptarse, tanto para la brecha de oferta como de demanda. A modo de ejemplo, para conectar al 10% de la población que aún no tiene cobertura de 3G, será necesario duplicar la inversión privada realizada hasta el momento. Más aún, para lograr la migración de los usuarios hacia patrones de consumo dato-intensivos, que permiten potenciar los verdaderos beneficios de la conectividad, las políticas públicas deberán tener un enfoque holístico. Desde una óptica de brecha de oferta, las políticas deberían estar enfocadas en generar incentivos para fomentar el despliegue de la infraestructura necesaria, políticas impositivas que promuevan el acceso a servicios digitales, instituciones sólidas con un enfoque orientado a crear marcos de certidumbre, con regulación ex-post donde sea necesario, y una visión planificada de largo plazo, que tenga como objetivo último conectar a más personas a un internet de calidad. Además de la brecha de infraestructura digital (oferta), es vital comprender el rol de la demanda. Una de las barreras a atender es la alfabetización digital, la componente de aptitudes digitales será imprescindible para que los ciudadanos desarrollen los conocimientos digitales necesarios para explorar los beneficios que ofrece internet móvil. La percepción de internet como herramienta de entretenimiento encubre la verdadera importancia del acceso a internet, y allí el rol de los gobiernos es estratégico. 2) ¿Cómo pueden hacer los operadores y gobiernos que la cobertura sea más económicamente sostenible? Cerrar la brecha de cobertura requiere de un esfuerzo conjunto entre la industria y las administraciones de nuestra región, posible de ser separada escalonada en dos etapas. La participación del mercado hasta donde sea posible y la intervención pública donde sea necesario. Para ampliar la cobertura actual las administraciones deberían explorar la intervención únicamente después de agotar el uso de incentivos al mercado para que las empresas incrementen la cobertura por sí solas y luego, si no actúan de ese modo voluntariamente, considerar las opciones de intervención. El objetivo de políticas debería estar puesto en encontrar alternativas tecnológicas que reduzcan los costos de despliegue y operación. Para esto será necesario contar con un entorno predictible que permita reducir la prima de riesgo de las inversiones futuras, una regulación intersectorial (ej.- ventanillas únicas para permisos, derechos de vía, etc.) que promueva la sinergia con otros sectores de infraestructura de red (caminos, ferrovías, energía, etc. ), la homogeneización de normas locales para facilitar el despliegue y hojas de ruta previsibles de espectro. Llevar la cobertura más allá de los límites del mercado, podría requerir asociaciones público privadas, subsidios, el uso de edificios públicos y un modelo claro de uso de los Fondos de Servicio/Acceso Universal. Todos estos puntos hoy no funcionan a pleno y requieren de mucho músculo y de prueba y error de los reguladores para tornarlos efectivos.